Find your next career at Milgard. Milgard Windows & Doors is committed to your success. Founded in 1958, in the Pacific Northwest, Milgard has expanded its facilities, plants and offices to multiple cities throughout the Western United States. Search all our current openings by location using the map below. Our focus is delivering high quality windows and patio doors, led by the Milgard Value Proposition. 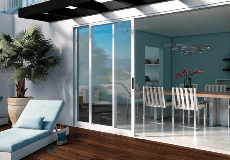 To be the best window and patio door manufacturer, we are committed to these core values. Search job opportunities and submit an application through our career portal. Our employees talk about what it’s like to work at Milgard, in their own words.